I am dying to have a pair of these babies. They are gorgeous,the perfect statement shoe. A little pricey,so I would settle for the look alike (brandless) pair. 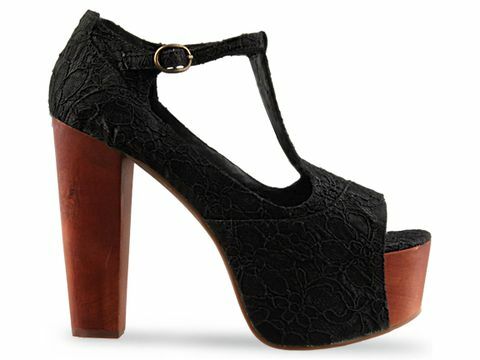 The T-strap ankle buckle adds a touch of femininity to these platforms. They look great in all the colours they come in, I would probably get a black pair,but how gorgeous is the mint pair above? Now I know this is not everyones cup of tea,but I love them and they look great paired with short denims,or dressed up with a fabulous tailored pair of pants? What do you think?Would you break bank for a pair? Next articleThanks to Stylescoop and ghd I have fabulous hair! I would definately get a brandless pair! lol!